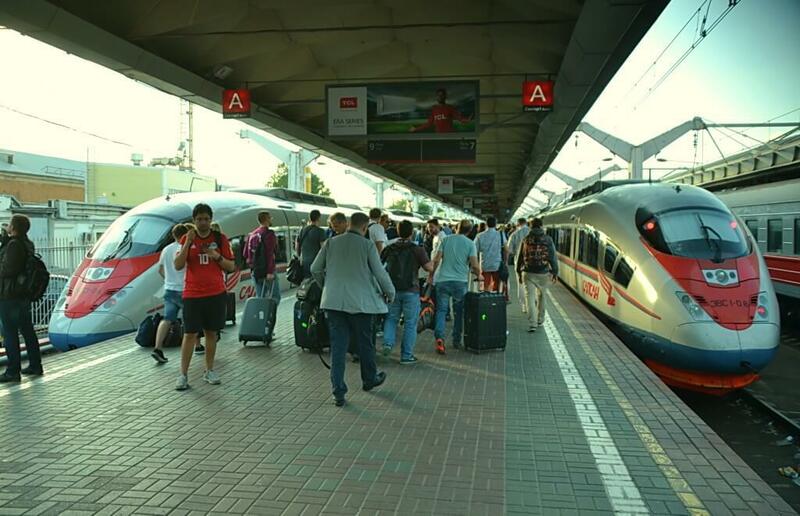 As of April 1, 2019, Russian Railways (RZD), a railway long-distance operator in Russia, opens sales of tickets for passenger trains 120 days prior to departure date. The option is available for a limited number of routes and trains, including Sapsan cruising between Moscow and St. Petersburg. For the majority of routes, sales still start 90 days before departure. • The Express train (№№ 3/4). departs at 23.30, arrives at 07.30. The both trains connect Moscow and St. Petersburg making it more convenient for travelers to plan their journey between the two cities. Though, these sleepers are not for budget-oriented travelers. They belong to premium and luxury segments and see many prominent high-ranked officials, celebrities and other nobilities among their passengers. For example, a one way ride by The Red Arrow on April 10 will set you back 2952 rubles for a seat in a standard (four-berthed) compartment, and 12 763 rubles in a luxury one (two-berthed with toilet en suite and other nice features). The Express would cost 1899 and 11 774 rubles respectively. Is pre-buying tickets for these two sleepers worth it if you try to save money? No. For example, your suggested trip for April 10 would cost less than a journey in May or June. It happens because railway fare for long-distance trains in Russia depends on a season of a journey, not the time of buying. But buying in advance will help you guarantee seats. The Sapsan train Moscow – St. Petersburg. The good news here for those who are going to visit St. Petersburg are The Nevsky Express and Sapsan. You can buy tickets right now for your journey in early August. The Nevsky Express is a day train going four hours between the two cities. It runs daily, and its concept is like Sapsan’s one. Though, it’s less convenient a bit and typically costs as much as Sapsan’s Basic tariff plan. For a journey on April 10, it would cost nearly 2600 rubles. • Trains Russia to Kazakhstan, Uzbekistan, Moldova, Ukraine: 45 days.